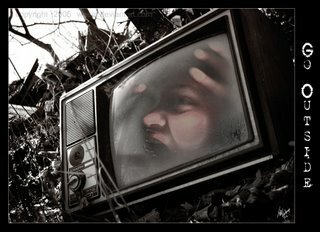 The best thing my father ever did for me as a child was get rid of the television one year. His words were ‘well, me and yer mum don’t watch this box anymore, so we’re not paying for it.’ (in England you pay a license fee and get to watch a couple of channels commercial free). I don’t think he knew the significance of doing that, but it’s repercussions are infinitely beneficial. I completed Lord of the Rings at a young age, and although I didn’t understand it or remember a whole lot, I loved it, it conjured up images of dark and hopeless battles, or heroism, of simple acts of courage going unsung and unremembered. There were quests and adventures and it was unbelievably dark and gothic. 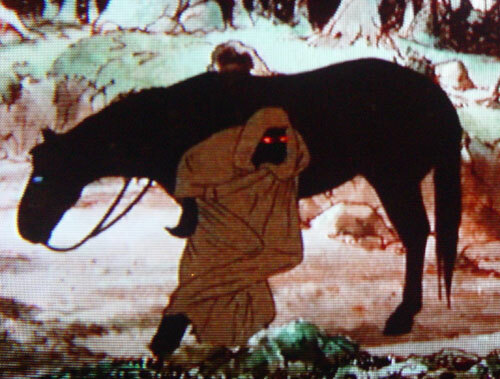 There was an animated version of the Lord of the Rings that I saw at the time too, the one they never finished, and that fuelled my imagination with enough inspiration for a lifetime. All my writing became dark and fantastical, and all the games we played were on that subject, for a few years at least. 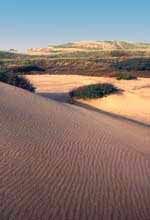 My fondest memories were of climbing about on the sand-dunes in Southport. Southport is a Victorian seaside resort, and all along the coast, stretching up towards Ainsdale and eventually Liverpool, is a band of sand-dunes, coating the whole coastline. These dunes were sometimes up to a third of a mile deep, and perfect territory to get lost in. I remember hearing about some kid who tried to build a little cave into a dune, and it collapsed and suffocated him, so that just added to the exciting danger. 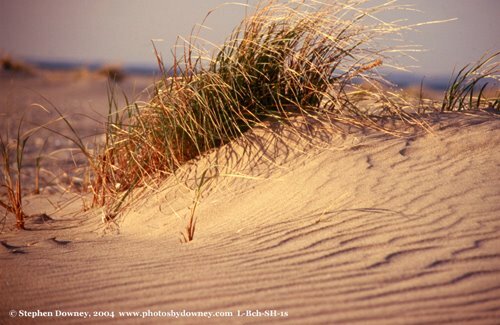 The sand was a fine drifting variety and dune grass would sprout up all over the place in tufts, holding the dunes together. That was the best thing, because the wind would be constantly shifting the sand into new hills and gullies, so it was never the same to visit. We used get old blankets for cloaks and make shields and swords from spare bits of wood in Dads shed, and a toy shop in the centre of town starting selling bows and arrows for a pound (English currency, one hundred pennies). They were just plastic piping with string and rubber suckers on the end of the arrows. Those ones we kept for when we were playing were mum could see. The other batch we had, we notched the arrows, cut off the suckers, sharpened the ends and tightened the string. Those ones would really fly. All our efforts at making wooden weaponry were eclipsed the year when for Christmas Dad made proper ones. Although only wood, they were magnificent. During the cold of winter for about four months before the big day he was in the shed just about every night I remember. Mum told us he was working on his bicycle (he was big into bikes) so we thought he was the most inconsiderate parent on the planet, and berated him for it all the way up to Christmas. There was three swords and three shields, one for each of us. Mine was a Crusader style, tall slim sword with a tear-shaped shield, complete with a Celtic cross emblem on the front made from wood, and a leather strap and handle on the back. For David was a Viking style, with a round shield, made from concentric rings of wood with metal studs, and a short sword, similar to the Roman gladius. Matthew, the youngest of us got a little round shield and sword, which to me was no more than a dagger, but was full size for him. They were incredible pieces of workmanship for someone who doesn’t do a whole lot of woodworking, all varnished and the hilts were bound in special twine. We loved them so much, so much that at first we didn’t want to use them, leaving us with our usual splintering planks/swords and broomsticks/staffs, but after a while we picked them up, used them in our games and they got a fair beating. So, on the sand dunes we played, when mum and dad would drive us down there. It irked mum no end that we would get so much sand on our persons and trek it into the house, for us it was the opposite, if I remember correctly we would compare against each other the mini sand dunes we would create from emptying our shoes out at the end of the day. Some of the dunes were almost twenty five feet high, so we’d pick one, call it our castle and then charge down at each other and battle it to the death in a valley. But it wasn’t just us. Equipped with our imaginations, we were one of thousands fighting at that moment, and it was never easy, it was always the desperate fight, as if the fate of species you chose that day depended on it. Sometimes it would rain, so the atmosphere was enhanced, the coldness all over you, covered in dust and sand, the sound of the waves crashing in the distance, no sign of people or civilization, just us. The most fun I ever had. The good thing about soft sand is that it’s hard to hurt yourself on it. The dunes were often wind blasted on one side, devoid of grass, so on the tall ones we would run up the rough side and throw ourselves off the edge, hurtling through the air and landing in a heap on the other side, rolling down the dune until we lost momentum. It was pure, lustrous, exhausting joy. I could write for hours on the memories I have as a child, the experiences I shared with my brothers, my parents, but I don’t want to bore the hell out of everybody. The point of this article is that I mourn the loss of that today, and how it has been replaced by the collective experience which is TV. I see most kids imaginations molded from the excretions of the corporations through television, a single complete viewpoint, leaving no room for expansion. I don’t see children out playing on a sunny day anymore, I walk past houses and in every one is the blue flickering glow of a television and I can almost feel the light go out of all the creativity. The culturing of the imagination does not happen overnight, it’s something acquired through immersive experience, from continual ‘training’. But imagination also increases empathy, the ability, effectively, to imagine someone else’s emotions and respond to them. I think both abilities have a lot in common that way. Sympathy is the same way. One cannot be sympathetic to another’s cause if they can’t understand what it must be like to feel as the other does. I’m not saying that the problems of the world are caused because kids watch too much television, but as far as social challenges go, I think it’s a large contributor. The wooden swords and shields that Dad made for us got a hell of a beating, became chipped and the finish tarnished, but that is only testimony to the hours of fun gleaned from them. My set is still in England. David’s shield was broken (probably in the throes of the Battle for the Back Yard), and I’m not sure what happened to Matthews stuff. The sand dunes are as yet untouched and still provided the same intoxicating an experience when I was older as it did when I was young, although it’s been a while since I was there. My parents are no longer together, even though I saw us all being the part of an inseparable unit for ever, but without my escapes, my books and music that pain would have been much harder to endure. My brothers and our games kept me young long after my peers became occupied with the more frivolous pursuits of smoking and alcohol. It is to those years of imaginary worlds and stories and books that I owe the ability to keep writing, keep thinking, and of course to my parents and brothers whom I love so much, even though they are so far away, who created the environment that was so conducive to a creative element, so encouraging to thought, understanding and meaning. That is the building blocks to any child’s development, and what we should all strive to create for them. (art credit goes to weeja. His art can be found here and is well worth checking out. Your childhood sounds wonderful. I agree with all your points. Just yesterday my four-year-old daughter asked if she could watch TV. She said she was bored. I told her in no uncertain terms that she was not going to watch TV and that she’d just have to come up with something to do. After whining a bit, she went off and did just that. If more parents had the patience to respond to children that way I think we’d have much more art, science and creativity in the world.